Can Cats Fart? Is Something Wrong If They Do Fart? Have you ever sat in a room and smelled a foul odour? Well did you take a look around your room to see what could have caused the odour? 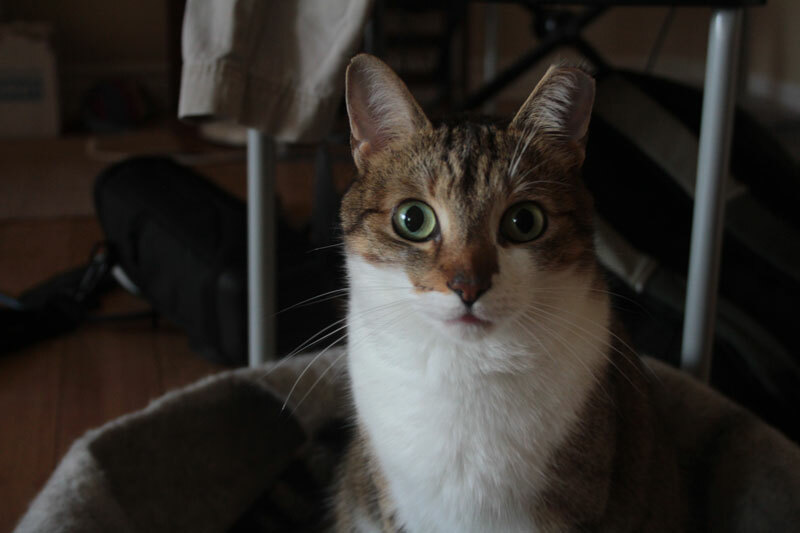 Was there nothing but your cat staring blankly at you? Well, that might be because your cat may be the cause of the scent. SO DO CATS ACTUALLY FART? Let’s put it like this. 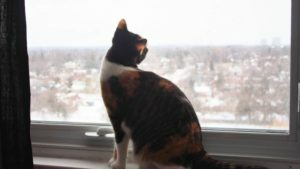 Cats can experience gastrointestinal issues and can experience gas buildup, however, vets have left it up to debate whether or not they actually “fart.” The reason for this is the fact that vets have not been able to pinpoint whether or not cats actually make a sound while they release gases and oftentimes release these gases in other ways. IS IT NORMAL FOR CATS TO FART? Yes and no. It is 100% okay for your cat to fart, but oftentimes it is a sign that there is something else happening inside of their bodies. 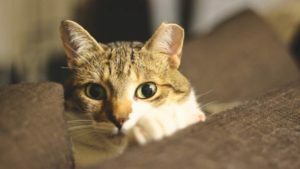 If your cat is constantly farting, you may have a more serious issue on your hands, however, most of the causes of gas build up tend to be a quick fix! DO CATS KNOW THAT THEY ARE FARTING? It’s up for debate as well. As most vets believe that all cat farts are silent, they also believe that cats aren’t actually aware that they are farting. WHAT ARE SOME REASONS CATS FART OR EXPERIENCE GAS BUILDUPS? 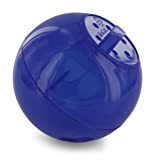 This was the main reason our cat, Kalista, was “farting” all of the time. My partner and I used to often comment on how stinky she was, especially because when she did “fart” they were extremely foul. 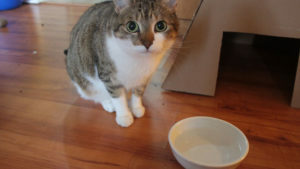 At the time Kalista was eating Whiskas Wet Food, which is known to have a number of by-products and fillers that cats don’t really need. 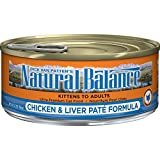 However, it was very difficult for us to get Kalista to switch onto a higher quality food which is now a mixture of Natural Balance Wet and Open Farm Kibble. Remember, better quality food does not need to be expensive and you don’t have to feed the absolute highest end food to help your cat out. If you think that this is the problem with your cat you can easily speak to a pet store employee or your vet for recommendations of higher quality food. 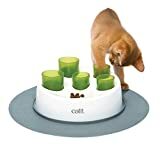 I would also do some personal research on pet foods to see which would best suit your cat’s needs. Why Is Filler Bad? Simply because fillers are harder for cats to digest causing cats to have an upset or gassy stomach. Although it’s very common to see cats drinking milk in cartoons, the majority of cats are actually lactose intolerant. Similar to us humans, lactose intolerant cats will experience bloating and gas buildup. Cats may experience the same thing with milk alternatives like almond milk and soy milk. This is a more concerning reason for your cat’s gassy or upset stomach. The most common parasites are worms and they often cause an upset stomach, diarrhea as well as gas. I would strongly advise you to go to a vet to receive treatment and not do so from home. Many “over the counter” dewormers are extremely harsh and ineffective. It’s weird to think that eating too fast can cause gas, but think about how much air is going to get trapped inside your body if you don’t take the time to breathe out. A number of cats become very gassy because they’re eating too fast and may even throw up. 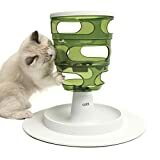 You may want to get your cat a slow feeder or a puzzle feeder if they’re a vaccuum kitty! It’s no surprise that garbage or spoiled food is bad for a kitty, but due to the upset, it may cause your cat’s stomach they may develop some excess gas. In general, you should limit your cat’s intake of “human food.” A lot of it isn’t great for your cat and may upset your cat’s stomach. Oddly enough, one of the biggest culprits is tuna! Hairballs are an annoying cat trait that I’m sure everyone wishes didn’t exist, especially your kitty. The buildup of hair in the stomach or intestines may make it difficult for gas to pass through your cat’s body causing them to release it in a stinky cat fart. Always make sure to brush your cat and it may be time to check out some hairball control products to help your cat pass the hair quickly and effectively. It’s hard to remember that cats are not like us and are not used to switching up their diet every day and because of this we can actually cause them more harm than we realize. When switching food make sure to always do it slowly. Adding a bit more and more of the food you hope to feed them over a week or so. Now, some cats have stronger stomachs than others and may experience no discomfort, however, the regular cat usually deals with gas or even vomiting and diarrhea. Try to avoid this as much as possible! ARE THERE ANY OTHER SYMPTOMS RELATED TO GAS THAT ARE SIGNS THAT SOMETHING IS WRONG WITH MY CAT? WHAT ARE THE MOST COMMON HEALTH PROBLEMS ASSOCIATED WITH KITTY FARTS? WHAT ARE SOME OF THE EASIEST SOLUTIONS TO GET MY CAT TO STOP FARTING? So while most cat farts are completely harmless and natural, they may also be the sign of a more serious issue that your cat may be hiding. If your cat is always gassy make sure to take them to the vet for a full physical. If they’re just gassy every so often, they’re probably just experiencing one of the problems listed above. So Pet Parents, do any of your cats fart? Let me know in the comments below! Why Do My Cats Keep Sneezing? Is My Cat Sick? 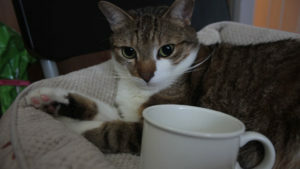 Can Cats or Dogs Drink Coffee and what happens to them if they do? Pasha was my Champagne cat. ‘What’s a Champagne cat?’ Visiting friends would ask, after Pasha had installed himself on their lap and then excitedly infused the air with another of his nose-wrinkling emissions. Pasha is a perfectly good cat. And there you have it. My sweet Pasha farted lustily whenever admired.